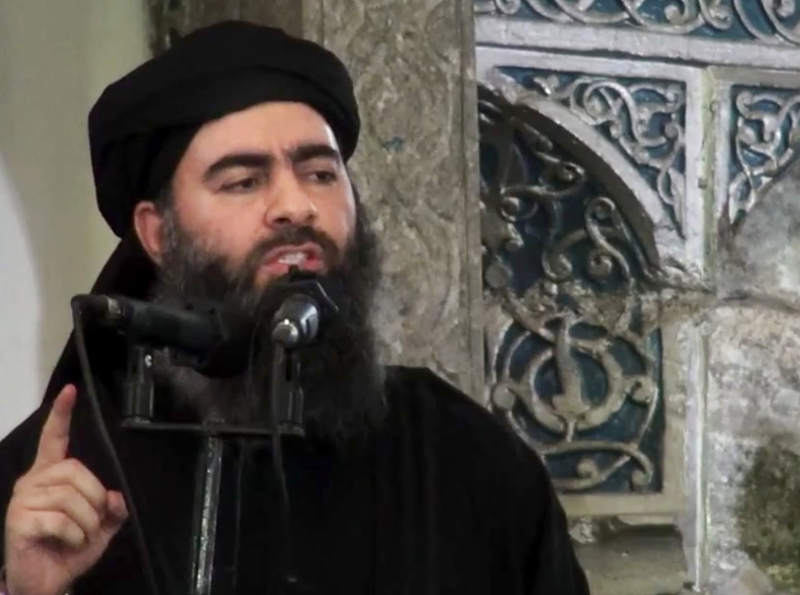 LONDON -- A London-based monitoring group with a solid history of accurately reporting incidents from inside war-torn Syria said Tuesday that it had been able to confirm the death of Islamic State of Iraq and Syria (ISIS) leader Abu Bakr al-Baghdadi. Russia said in June that there was a "high degree of probability" al-Baghdadi had been killed in a Russian airstrike at the end of May. Moscow first made the claim on June 16, saying it had evidence he was among a group of ISIS leaders targeted at a meeting just outside the terror group's de facto capital in Raqqa, Syria. U.S. and Iraqi officials cast doubt on the claim then, however, saying they had no evidence to suggest al-Baghdadi was dead. There have been numerous erroneous reports of his demise since ISIS seized a vast swath of northern Iraq and Syria in the summer of 2014. The Reuters news agency quoted U.S. military officials in Washington again on Tuesday as saying they had no reason yet to believe al-Baghdadi was dead. A spokesman for the U.S.-led anti-ISIS coalition told CBS News in an emailed statement that, "we cannot confirm this report, but hope it is true. We strongly advise ISIS to implement a strong line of succession, it will be needed." A U.S. intelligence official also told CBS News that the U.S. had not confirmed the report. The director of the London-based Syrian Observatory for Human Rights (SOHR) told CBS News that a "1st tier and two 2nd tier ISIS commanders from Deir Ezzor" had confirmed al-Baghdadi's death. SOHR director Ramy Abdel Rahman told CBS News by phone that the sources "could not say when Baghdadi died, or whether he succumbed to injuries he sustained in an attack." ISIS has now lost the largest population center it controlled in Iraq, the city of Mosul, and is surrounded by U.S.-allied and Syrian forces in Raqqa. The size of the group's self-declared "Islamic caliphate" has shrunk around 60 percent over the last several years. If confirmed, al-Baghdadi's death would be a huge symbolic blow to the Sunni Muslim extremist group, which many experts expect to convert in the coming months into a more traditional insurgency -- still hell-bent on carrying out deadly attacks as and where it can, but without holding significant territory in either Iraq or Syria. Baghdadi hasn't been heard from since late 2016. The ISIS leader has only appeared once in video, speaking to supporters in an iconic mosque in the heart of Mosul that was destroyed by ISIS in June as Iraqi forces closed in. That appearance came in 2014. The last time Baghdadi released an audio message was Nov. 3, 2016, when he released an statement urging followers to continue to fight for Mosul.